This week, school bells all over will ring for the final time this academic year, and students will rush out of their classrooms for the start of the long summer break. Summer days will be spent by the water, or inside playing video games, or whatever it is kids do, their minds unburdened by schoolwork. But that's not the case for eighth-grader Miriam Rosenbaum, who still has to go through two more weeks of school as her friends enjoy summer vacation. For Rosenbaum, in her ninth year at East Valley School District's Continuous Curriculum School, it's been this way ever since kindergarten — school runs until the end of June before a relatively brief six-week summer vacation. Rosenbaum, however, isn't jealous of her summer-loving peers. In fact, she wishes that the high school she transitions to next year, with a traditional long summer break, had the same schedule as the Continuous Curriculum School. "I'm OK with that, because the rest of summer break is just spread throughout the year, and it actually gives you less time for you to forget things," Rosenbaum says. Research has shown that she's right. By fall, students tend to score lower on tests after a long summer break than they would have months earlier. It's a problem that various national and local efforts have tried to address for decades, and the Obama administration came out in support of longer school years soon after the the former president entered office. But few schools have succeeded in a more balanced academic calendar, and the research has been unclear on whether longer school years, or more time spent in school, would ultimately prove beneficial. In the coming years, more Washington schools may follow the Continuous Curriculum School schedule and extend the school year. 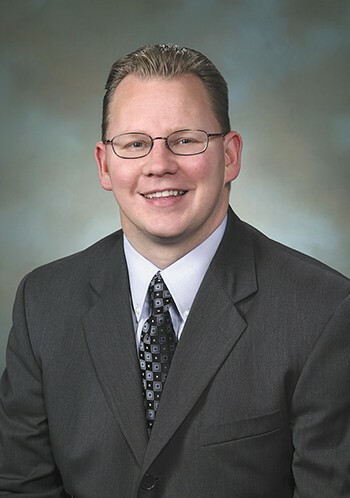 Chris Reykdal, Washington's new Superintendent of Public Instruction, released his long-term vision for education in the state in May, and it includes longer K-8 school years that would shrink summer break. Under Reykdal's vision, vacation days wouldn't be added into fall, winter or spring months, like they are at the Continuous Curriculum School. Instead, he proposes more time spent in school overall: A longer school year, packed with more school days, with those days themselves being longer. He knows it's a bold vision that would require a significant investment from the state legislature. But there's at least one member of the state legislature who's on board: Sen. Andy Billig (D-Spokane). For Billig, shortening summer break goes hand-in-hand with closing the opportunity gap that sees children living in poverty showing less academic achievement. "Summer learning loss is the largest contributor of the opportunity gap," Billig says. "It follows that the best way to help close the opportunity gap would be to address summer learning loss." The 180-day, 10-month calendar for schools in the United States emerged more than a century ago, when the livelihood of most Americans was tied to agriculture and many children needed the summer off to help with the harvest. That has since changed. Other industrialized countries, Reykdal notes, go beyond the 1,000 instructional hours in a year that schools in the U.S. currently offer. To compete on a global scale, Reykdal tells the Inlander, grades K-8 should add more than 200 hours to that instructional time by increasing the school year to 200 days and expanding the school day by 30 to 60 minutes. It may sound like an increased burden on students, but Reykdal says it's the opposite: With more time in the day, school work can be more spread out. He hopes that more class time would allow kids to start learning a second language in kindergarten. There would be more time for recess and for lunchtime, and there would be less homework. "Kids," Reykdal says, "can go home and be kids again." In 2014, Sen. Billig proposed a bill to pay for a pilot program that would start school at the beginning of August for 10 schools in Washington. The bill became law, but it has never been funded. "I feel like I've been the lone voice advocating in the legislature for an extended school year to help prevent summer learning loss," Billig says. "So I welcome superintendent Reykdal's support for this." Other organizations have done valuable work to help deal with the problem of summer learning loss, but Billig believes an extended school year would be more beneficial. Studies have so far not clearly established whether adding more school time would improve outcomes. In Florida, a project that extended the school day and school year in 39 underperforming public schools reportedly produced mixed results, with burnout among teachers and students. Teachers unions have remained quiet regarding his idea, and a spokesman for the Washington Education Association, the state's largest teachers union, says districts should make decisions at the local level. Elizabeth Lally, a third-grade teacher at the Continuous Curriculum School, says she loves having more breaks throughout the year, because it prevents burnout in the winter months. She says she spends less time at the beginning of the year trying to catch students up on things they learned the previous year. When it comes to increasing school days from 180 to 200, she says she could see the benefits of having more time for the arts and other curricula that can't fit into the current schedule. But she'd have some reservations. "We'd have to think about the impact on us as teachers," she says. "Would that mean more money for us?" Kevin Morrison, spokesman for Spokane Public Schools, says the district board has never seriously looked at extending the school year. Instead, the district has invested in summer camps for kids to maintain their education. "I don't think we have done a comprehensive analysis of what that would look like," Morrison says. "It would definitely have to be a community conversation." Rogers High School has tried its own experiment, extending the school day 30 minutes and the school year by several days, using federal grant money. Rogers Principal Lori Wyborney says it went "great," that it worked for kids and teachers, and helped the high school increase academic achievement and turn around its graduation rate. "It honestly surprised us how much we got out of that," Wyborney says. The money for extended time ran out after four years, however, and Rogers returned to the original schedule last year. Wyborney says she would like to see a longer school year for students to prevent summer learning loss, if there's a way to pay for it. Indeed, money seems to be the main obstacle to longer school days or school years. Several schools have tried the idea across the country, then changed back to the original calendar due to a loss of funding. Reykdal's vision for more school time wouldn't be implemented for at least another four or five years. First, the state legislature needs to figure out how to fulfill its state Supreme Court mandate to fully fund education under the court decision known as McCleary. Current proposals in the legislature dedicate around $2 billion to education, and Reykdal says the state would need twice that to make the changes he would want. Billig says he's not sure that every school needs a longer school year. He would prioritize schools that are struggling academically.